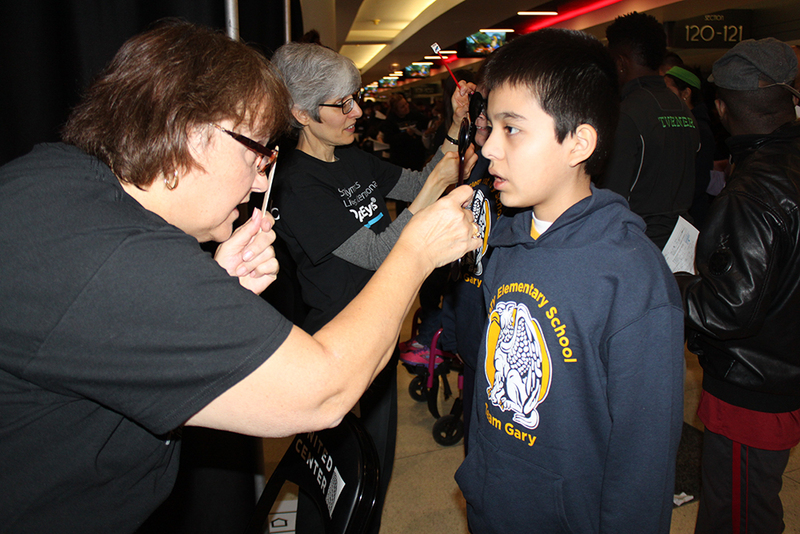 Special Olympics Illinois hosted the 17th Annual MedFest on Nov. 10 at the United Center in Chicago. The United Center generously welcomed Special Olympics Illinois back for this event which provides people with intellectual disabilities the opportunity to receive the sports physical required to participate in Special Olympics at no cost. More than 1,300 athletes received free exams from Advocate Medical Group doctors who donated their time to support this event. View photos from MedFest. Start a new family tradition by joining Special Olympics Illinois and Light Up The Park with the Village of “Frozemont” on Friday, Nov. 27. The celebration kicks off as Mayor Bradly Stephenson, along with the help of a Special Olympics athlete, lights the official tree at MB Financial Park at 5:30 p.m.
Come early for ice skating – all skate rental proceeds will benefit the programs of Special Olympics Illinois and the 22,000 athletes supported throughout the state. Special Olympics athletes and staff will be on site to collect Change for Champions, bring good cheer and celebrate the winter season. Family friendly festivities include horse-drawn sleigh rides, ice sculpture viewing, and appearances by Mr. and Mrs. Claus. MB Financial Park is located at 5501 Park Place, Rosemont. To find out more about hours, special events and all the activities, please click here. 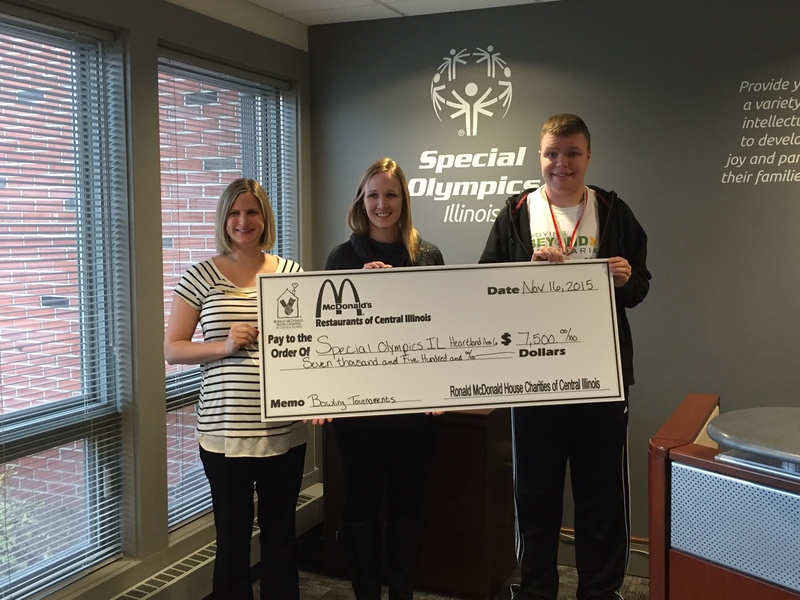 Special Olympics Illinois Heartland/Area 6 received a a $7,500 Ronald McDonald House Charities of Central Illinois grant from Robert and Julie Dobski, owners/operators of local McDonald’s restaurants, to fund fees and tournament costs for Sectional and State Bowling Tournaments held in Peoria. By funding this tournament, the grant will allow many children and adults with intellectual disabilities greater opportunities by helping them improve their self-esteem, physical fitness and overall health. The Ronald McDonald House Charities of Central Illinois provides funds to not-for-profit organizations that directly help children reach their fullest potential in civic and social services, education and the arts and health and medical research. Ryan Feeney, a member of the Special Olympics Illinois Leader Council, reached out to family and friends and asked them to donate to Special Olympics Illinois based on the number of holes of golf he could play. 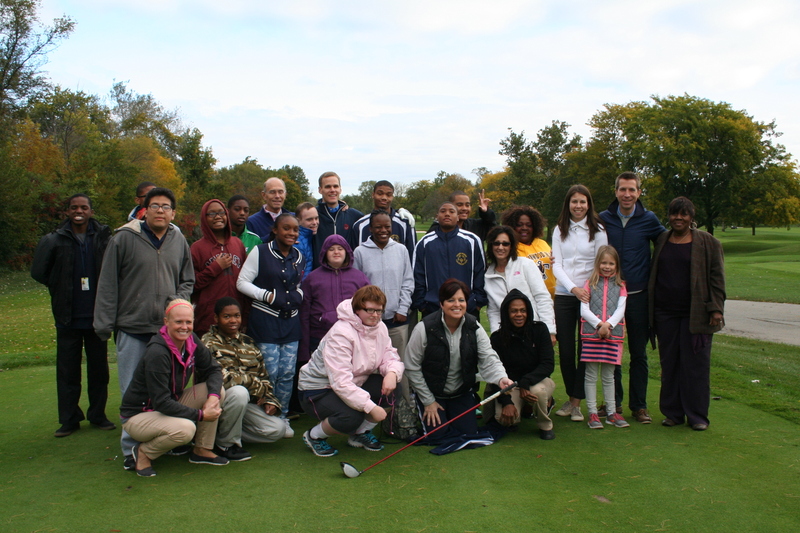 On Oct. 13, from sunrise to sunset, Ryan golfed 100 holes at the Olympia Fields Country Club and raised more than $40,000! He invited a group of students from Thornwood High School who participate in the Special Olympics Illinois golf program to join him. The athletes also enjoyed instruction from the golf pro followed by a delicious luncheon. 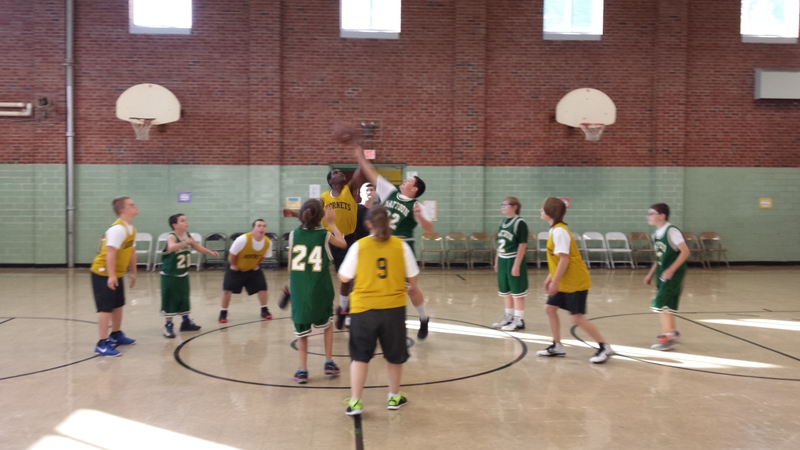 Tip-off of Mattoon Middle School and Mattoon/Charleston Hornets game. 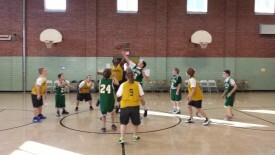 Special Olympics Illinois East Central/ Area 9 basketball teams kicked off the season Nov. 7 in a three-team round-robin competition held at St. Mary’s School in Mattoon. Join the Special Olympics Illinois athletes of Northeastern/Area 13 at the annual Holiday Dinner on Saturday, Dec. 5, at the Arboretum Club in Buffalo Grove. Starting at 6:30 p.m., the event will include dinner, a silent auction, live auction, raffle and live speed painting by Elliott from Art Beat Live. Tickets for the Holiday Dinner are $45 for individuals or $450 for a table of 10. Purchase tickets online by Nov. 19. The Holiday Dinner is a great opportunity to give back to Area 13 athletes.